It can get downright HOT in Dublin, Georgia! When you�re dry and parched, there�s nothing like the joy of opening a refreshing cold beverage. 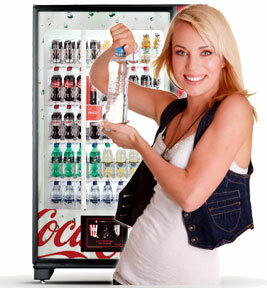 At the press of a button, you can enjoy ice cold beverages refresh, energize, and quenching that thirst. Ahhhh! 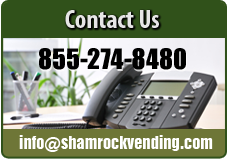 At Shamrock Vending we have many brand name options to choose from: Coca Cola�, Pepsi�, Sprite�; and more. Including your classic and newest favorites, Shamrock Vending offers soft drinks, juices, energy & sports drinks, iced tea, and almost every type of water you can imagine. What�s your favorite beverage? 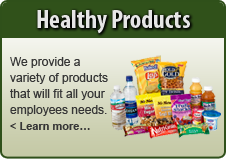 Whether you like a variety of sodas, sports drinks or juices, we offer quality brand name products from all the manufactures. 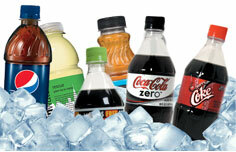 Let us help you make your beverage selection today. 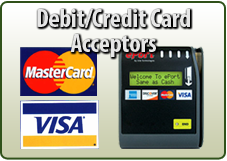 When the weather turns chilly in Dublin, Georgia, Shamrock Vending won�t let you down. When it�s cold and miserable outside, you�ll remain warm and cozy, seriously delighted�deep inside. And for those of you who want hot drinks all year �round, we offer hot beverage machines that dispense flavorful name brand coffees, cappuccinos, and teas. 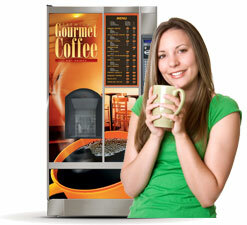 Our machines are clean, modern machines that dispense 8 oz or 12 oz cups of your choice of pure delight.